Like busses. You don't get any for ages then loads turn up at once. This one was a long time coming, so the news might be a bit last month. BIG thanks to The Prof and Lightfoot for pulling in an emergency edit while Sputters was trying to earn some mortgage. So, let's get this out of the way, it's our review of the TV Movie, a feature length first attempt to revive the franchise after it's woefully criminal cancellation in 1989. Intended as a 'back door pilot' for a new American-produced Doctor Who TV series, and introduced Paul (like butter) McGann as the 8th Doc in his only video appearance as our favorite Gallifreyan. An obvious ratings success in the UK, the movie flopped big-time on US TV and eventually came to nothing. A major bone of contention (on many levels) with fans, this 85 minutes of contentious Who history always raises voices and temperatures. Two Sundays ago, the British contingent decided it was high time that Sputters got his feet wet, at least as far as Dr Who conventions were concerned. Mind you, me and the Prof had only just been to our first one at Temple Park in June and I suspect that our gleeful frothing was what finally convinced his Time Lordship to go for it. So myself, the Prof, Sputters and his good wife Emilly Ladybird trundled off to the Midland Railway Centre for Whooverville 2, organised by those smashing chappies, the Whoovers. We were met at the station by Dalek Derek, a fine specimen that Emilly was utterly entranced by. Now Em isn't a giant Who geek, but she does love a good Dalek and flirted outrageously with every Kaled mutant she could find (even the Special Weapons Dalek Storm, who otherwise was having a bit of a bad day, by all accounts). Having been transported from the station to the railway shed (sorry, convention centre) by a steam train, we settled in for a day of talks, spending and trying to get celebrities to say "Dirty Whoers". We knew that Katy Manning (Jo Grant), Sophie Aldred (Ace), Deborah Watling (Victoria) and Michael Cochrane (way too much stuff) would be there, along with the bloke that did the design work on "Amy's Choice" and some vampire babes, but the great surprise was that John Leeson (K9) was there as well. The lovely artist Steve Caldwell was also there (and we bought a few more of his prints for good measure). Sputters had carefully retrieved his 1973 & 1974 Dr Who annuals from their place of safety so that Miss Manning could sign them, and he and the Prof promptly caused chaos in the signing queue as both Miss Manning and Miss Aldred flicked through them, pointing out all the completed quizzes and dodgy artwork. Signatures and promises of interviews acquired, the boys joined myself and Em in a slice of coffee and walnut cake. And so the pattern was set for the day: talks, signatures, waylaying hapless Dr Who assistants and sloping off for the occasional cuppa. Sputters also managed to blag his way on to the podcasting seminar and it was good to be able to put faces to voices (especially the rather dapper Tom from the Dr Who Podcast). Sadly James Naughton from Podshock couldn't be there, because he is a knight in shining armour and there was a fair damsel who needed rescuing, but we made sure we got a recording of Tom's voice for Terry, because its just as silky smooth and I'm sure it will make her go all giggly. All of the people we interviewed were wonderfully generous and very gentle with us convention amateurs. Sophie Aldred's eldest son was a pleasure to talk to, even if he doesn't like peanut butter cookies, and I could have listened all afternoon to Mr Leeson's talk on which were the best red and white wines for a tenner. Katy Manning was very funny (Sputnik was in puppy heaven every time he went near her) and Deborah Watling has a twinklingly evil sense of humour. In short, the guests here confirmed what me and the Prof had found at South Shields: the Dr Who family is fab. Fingers crossed, next stop - Dimensions on Tyne! Check out the podcast, with interviews, below. Come on Whovians - Go cast your votes now! Voting link is at the bottom. The National Television Award nominations were announced in the UK today and several BBC favorites such as Doctor Who, Top Gear, Ashes to Ashes, and Luther each earned several nominations, including most popular drama program and drama performance categories. Polls are now open to the public to determine a winner in a host of categories. On January 20, a shortlist will be revealed at 16th annual The National Television Awards in London, which will once again be hosted by British radio and television personality Dermot O'Leary. Whovians will be looking for Doctor Who to lock down their sixth consecutive award in the drama category, while also championing Guinness Book record holder Matt Smith and Karen Gillan for their own individual wins. An interview with Doctor Who showrunner Steven Moffat reveals the following informative tidbits when 'Doctor Who: The Brilliant Book 2011' comes out later this month. As well as repeating how Christmassy the Christmas special is going to be, as he has a few times already, he also goes on to address the ongoing story arc including River Song's true identity. 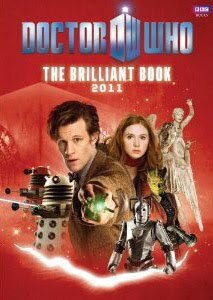 Doctor Who: The Brilliant Book 2011, edited by Clayton Hickman, comes out on September 30th from BBC Books (RRP £12.99). Read more on this topic at the SFX website. You know how the Brits refer to certain companions as, "for the dads"? *ahem* fancy a bit of Amy Pondage, anyone? Someone said it's a fake so I did a little investigating. It's a well done photoshop chop job by a guy who does nothing but this wi celebrity heads and latex catsuit photos. Geewiz, it's quite a collection. So if you'd like to browse more Karen Gillan, erm.....in catsuits...: do a flikr search for "headswapharry". Well, this blog isn't called Dirty WHOers for nuthin'! Mr. Sputnik just recently met Miss Manning at Whooverville and was terribly impressed by how nice and charming she was. She's finally joined the modern world with her own website, despite claiming to be computer illiterate. Here I've included part of her Q&A page where she talks about her experience reprising her Jo Grant role from Doctor Who on 'The Sarah Jane Adventures'. I've only included a few bits of it, so definitely go visit her site at http://www.katy-manning.co.uk/ , check out the rest of the interview and submit more questions! Q. You recently filmed two episodes of The Sarah Jane Adventures as Jo Grant. What was it like playing Jo again? Did you slip back into her skin easily? Katy: Incredibly easily. I was really surprised at how it all came back, and how quickly I felt like Jo again. It was a genuine pleasure to be playing her once more. Q. How do you think Jo has changed since she left the Doctor at the end of The Green Death? You'll have to watch the programme to see what I mean, but Russell T Davies has done a wonderful job of showing how Jo has developed over the years. You can still see the young and awestruck girl she was, but that's been tempered by experience and maturity - not replaced, but tempered. Q. Elisabeth Sladen as Sarah Jane Smith was the person who stepped into your shoes – or platforms – after you left the series. How was it working with her? Katy: Fantastic. Liz and I never actually worked together on Doctor Who, but we've got to know each other well over the years. We're always bumping into each other at conventions. 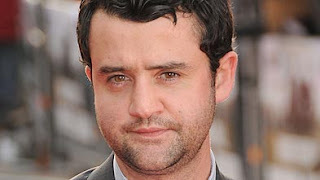 ATV News Network is reporting that actor Daniel Mays is one of the actors starring in the next series of Doctor Who. Most of us know him for his role as DCI Jim Keats, in the third and final series of 'Ashes to Ashes' (turns out he was the...oh, maybe I shouldn't spoil it. There are still a few who haven't seen it). He'll be appearing in episode three, the story written by Neil Gaiman. "Also appearing in the episode is actress Emma Cunniffe whose previous roles include Clash of the Santas, The Lakes, Clocking Off and Great Expectations. Child actor Jamie Oram will also appear in the episode."